It hardly looks like Christmas should be coming soon! The weather outside is warm enough to fetch the mail without a coat and there is no snow in sight. 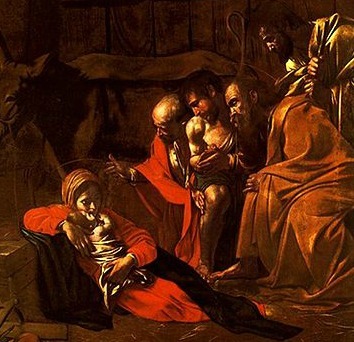 I usually forget about some of the beloved nativity hymns and readings until the last minute, but with a whole nine days to spare, here are some portions of my all-time favorite holiday poem. I love the imagery of Christ as the light, the eternal day, and all wonders in one sight. From “In the Nativity of Our Lord God: As sung by Shepherds” by Richard Crashaw. Love’s architecture is his own.